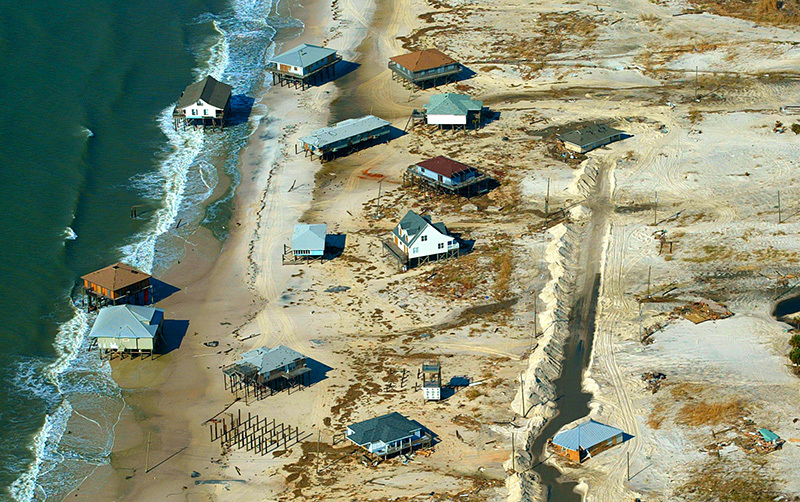 Houses on the Alabama Gulf Coast were knocked from their pilings by Hurricane Ivan in September 2004. Courtesy of The Mobile Register. All rights reserved. Used with permission. Photograph by Kiichiro Sato.